This week I am revisiting my previous blog post, The Art of Collecting Art, and adding in a few new updates, insider tips, and generally making everything a little clearer! You will also start to notice some incremental changes to the site over the next few months as the entire site will be getting a makeover! A page to support artists from my Facebook group, The Artists Exchange will be shortly receiving its first content, and I'm planning on a tips and tricks page for artists. The new logo is finally ready and will be making an appearance very soon, and there will be more of an art focus, especially as I start to introduce my new collections this year. Don't worry, your art and technology news will still be featured on the site. I will also be keeping an eye out for any bargains that come up in the art and technology world, and will keep you up to date with any of my future art offers. Having spent three-months planning each of the changes, I think you'll love the new look. A question that I get asked frequently from those new to the art world is how do I collect art, what should I be looking for, and just who will be big in the future? Honestly if I knew I would be buying lots of art from those yet to be discovered artists, and as for “what should I look for”, well, the answer is really tell me what you like? The key to choosing the art you want to adorn your walls is to make sure you actually love the work. You need to live with it for as long as you keep it. Don’t ever be tempted when you are on a budget to go out and buy something that you don’t like just because it maybe a trend at the time. 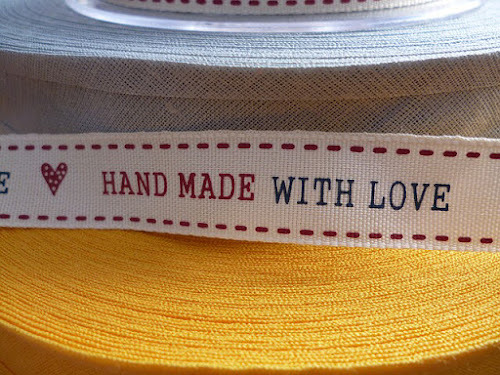 Always buy what you love and what you can afford. Think of it as what I like to call “levelling up”, level one, buy a nice piece of art, level two, buy another piece of nice art, level three, sell a piece of art and buy a better piece of art. The other question I get asked all the time is just how big a budget do I need to become a serious collector? Well, the answer to that is also simple, if you want to become a serious collector of Matisse you will need a pretty much unlimited budget. If you want to collect more modestly priced artworks, then you will need much less. I was invited to a friend’s new offices recently, and I was struck by his art collection. Wow! That must have set you back a fortune, I had said to him. No, in total the art budget to completely fill the back wall of the reception, line three corridors, and place two pieces in each of the sixteen offices, and five pieces in each of the two conference rooms came to a grand total of £3,000 (U.S. $4318.50). For a corporate office to have an art collection that felt very modern, and to actually see some art I had never seen before, and only spending this amount of budget on was quite remarkable. I honestly thought that many of the pieces were worth a considerable amount of money. The most expensive piece behind the reception measured in at six feet by six feet, and cost just £800 (U.S. $1151.60). Others started at £20 (U.S. $28) and up. They felt and looked much more expensive though. Where did you find this amazing art for such a low price? The answer surprised me, the piece behind the reception desk was purchased from a local artist who had been selling his works in a local café, and other pieces were purchased from Fine Art America, and even eBay. I hadn’t seen some of the works previously because they had been created by artists who have yet to emerge, artists who sell a few items each year on print on demand sites whose work is buried by the many more popular artists, it felt fresh. Unframed works had been purchased in some cases, the remedy was not to go out and buy frames that looked cheap because they were cheap, but to engage with a local carpenter who made them as a hobby and who didn’t have a huge mark-up. It proved to me that a substantial collection of art that made your jaw drop could be purchased relatively cheaply. Even a glass display case was purchased from IKEA, the wooden frame was stained a different colour, and its glass doors reflected beautifully the built in light on a small art installation purchased from Etsy. The total cost of the art installation, wood stain, and glass cabinet came to a total of £300 (U.S. $431.85). Of course, they could have spent much more, but then they would be buying mass produced pieces from lots of homeware supermarkets, galleries, and the art would have been seen before, because that is what everyone does. They could have spent a fortune at Frieze, or gone to Christie’s, but for one they didn’t have the budget, and two because they wanted something that looked different to a normal corporate environment. It’s a start-up, and I imagine that in a few years some of the art will be replaced with more expensive options, but the question is, will it still look as fresh? This got me thinking, whilst there are sometimes tax advantages to buying corporate art, for the same price as a tax bill, you can actually help unknown artists to be discovered. Just one sale makes a difference to some artists who try their hand at selling pieces on the print on demand sites. Not every print on demand artist can make a living because they remain buried beneath the best sellers. A $50 commission can buy food for an artist, and it can inspire them to carry on creating. The tax still gets paid, but more people take home a slice of the prize. So here are a few tips to set up your unique art collection without having to break the bank. Don’t restrict yourself to the usual suspects, art galleries, and chain stores. The galleries will be more expensive, and often take 50% commission of the total sale value from the artist. That’s fine and dandy if the 50% comes out of thousands of pounds/dollars’ worth of sales, not so good when the art is valued in the low hundreds. Look on sites such as Pixels (Yes, that’s me!) and Fine Art America, or and you will be amazed at what you can find, that sometimes has never sold. It will be unique by default.http://10-Mark-Taylor.pixels.comPixels.com is my primary selling site for my artwork and other products featuring my art. Local art fairs, coffee shops, and such places are a treasure trove of undiscovered artists. I sometimes visit the local farmers market and surprisingly, this is where I tend to find some of my art for my collection. Photographs are a great way to build up a nice looking collection, and for the most part and depending on the size, they needn’t break the bank. Photographs that are part of a limited edition are worthwhile, but they can be quite expensive too. On print on demand sites, the same rules apply. There are numerous photographers who have vast collections of photographs in their portfolios and many of these will not have sold high volumes. Remember that many great artists never appear in the top of the search results on print on demand sites because the most popular artists will often appear first. Prints often vary in quality, but a good quality print can look just as good as the original depending on the material it is printed on and the printing process applied. There is a real difference in the print quality from sites such as Fine Art America and Pixels (both part of the same group), and those found for discount prices in chain stores and home ware stores. Fine Art America and their associated companies print on museum quality stretched canvas, whereas many of the chains are printing to a particular price point and unless you are paying top end prices, you are unlikely to get anything quite as good as some of the print on demand sites offer. Visiting art schools when they hold public sales of their students work is always a great experience. I have picked up a few pieces from a local community college too whenever they have held these public events. Some pieces don't necessarily have a price tag, occasionally you get asked for a contribution to cover the cost of materials and a small donation, but when you start collecting art and you want something other than a print, art schools, colleges and even universities are always worth a visit. At this point it is worth revisiting some of the essential do’s and don’ts because if you are going out to make a purchase, it can be all too easy to get sucked in to the moment, in the process you can overspend, and end up with a piece of art that you may regret buying at a later date. Been there, done that! 1. Remember that you need to buy art that you love, it needs to move you, and because it will enhance the artistic element of your life. If you are investing in art to make a future sale, you might want to take a different approach but even then, if you need to live with it for a while, you will want something nice to look at. 2. Even if you don’t buy art from an art gallery, go out and visit them. You might pick up a bargain, but gallery staff can be helpful in guiding you through an education in the arts. 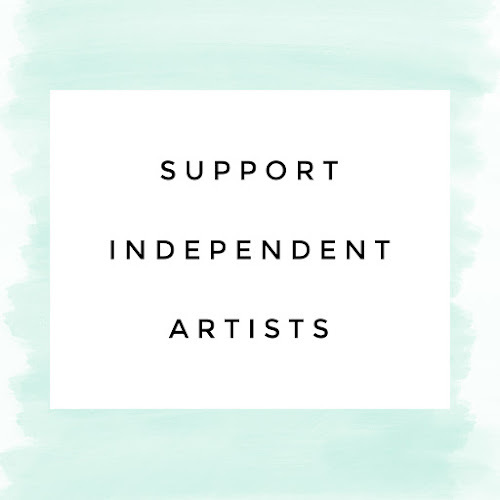 Equally they may steer you towards certain artists who they will be promoting, but reputable galleries will generally give you very sound advice. 3. Local art galleries often organise special events. These you need to carefully watch out for. 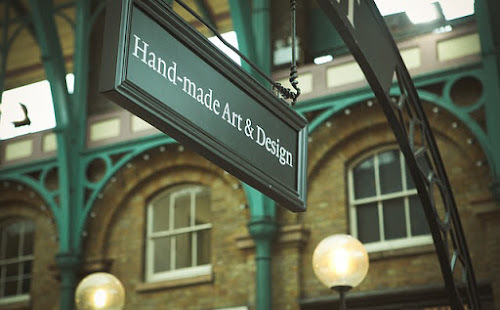 Often they can be invite only, or they may be advertised in a few areas, but they can offer the buyer an opportunity to connect with local artists, and prices in local art galleries tend to be competitive. Make sure you are on their mailing lists. 4. Local museums and non-profit art centers are always worth a visit. The last two non-profit art centers I have had the pleasure of visiting have both held curator events. Generally curator events bring in experts who will give lectures on collecting art, and will provide impartial advice. Visiting local, national, and international art fairs will also increase your understanding of what is out there, and they are also a great way to connect with the artist. There is though sometimes a downside when artist’s exhibit, and at this point I will say it is rare, but it is also the elephant in the room. I experienced this at a recent art fair, and it absolutely shocked me. A few, and I cannot stress this enough, it is a very small minority of artists turn up at an event and then totally ignore the people who came to see them. I get that an exhibition can be stressful for an artist, I also get that some people are introverts, but if you are ignored by an artist at an event and they are more concerned with speaking to their assistants or speaking on their mobile phone, is their work something that you really would like to hang on your wall? Personally I am all about having a cup of coffee with my clients and discussing what they would like to see in the future, and having a generally nice chat. Ignoring the customer is just so wrong on so many levels. 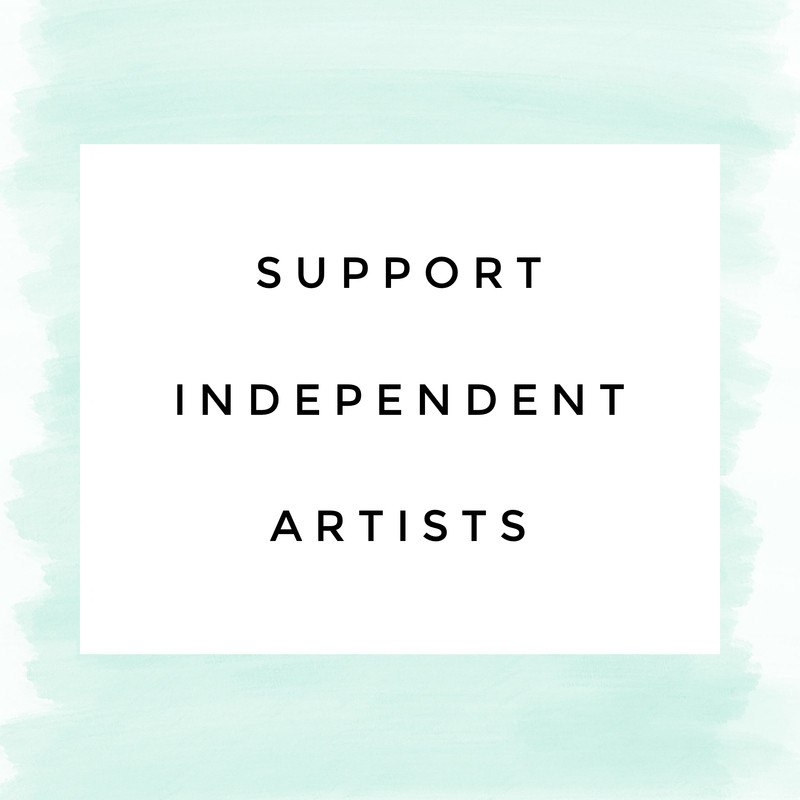 Let us artists never forget that we also need to eat, buy supplies, and sell our work for a fair price, and remember that our customers are the ones who allow us to eat, buy supplies, and sell our art at a fair price. 5. Walk away from the web occasionally and go and read a few relevant art books in the local library. There are so many great books on the subject of art collecting that it would be almost impossible to read every one or even afford to buy everyone, but books offer another way to increase your art knowledge, and local libraries sometimes also run art events. 6. If you know anyone else who collects art, then talk to them. Find out what they have learned about collecting art, and any mistakes they have made. I have made a few in the past, spending big money on a piece of art that on reflection was never going to increase in value. The problem was that I had listened to a gallery owner with an agenda, that agenda was to offload a particular piece of art to a then 25-year old who really had no clue. 21-years later, I have a clue. The moral of this story is that you need to know what you are buying before you buy it. I eventually managed to sell the piece on, but it was some years later, and whilst I didn’t lose too much money in the end, I never really loved it. 7. Working with a professional art advisor is a great way to learn about creating a good art collection. However, a professional art advisor is not a cheap option. Visiting art fairs, local galleries, talking to other collectors, joining a local community art group, or even a Facebook group are other options. Having plenty of space at home is a barrier that puts off many people from owning a truly outstanding art collection that will look great. But if like the majority of normal people, you live in a small home, how do you fit in an art collection? First let’s remove the barrier. You don’t have to live in a mansion to own an art collection. Granted, a large feature wall will allow you to hang that original Matisse in a way that draws attention to the painting, but if you have the money for an original Matisse, space is probably not an issue. For those just starting out on a limited budget and living in a regular home, there are lots of things that you can do to display your art. 1. Create an art space. If you have one slightly larger wall in your home, use that. 2. Start the collection with a few main pieces and fill in with smaller items such as mirrors and small framed photographs. 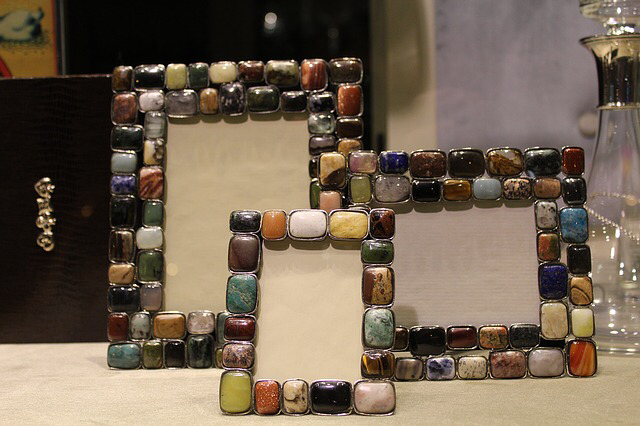 You can even use picture boxes or shadow boxes to hold small trinkets. 3. Visually the smaller items will break up any empty space and will also provide interest to the wall. 4. Floating shelves that have no obvious shelf brackets are readily available and you can buy them from discount stores for very little. You can then paint them to blend in with the wall, or add texture to them prior to painting by coating them with glue, and then covering them with sand. You can also paint them with textured paint that is now available from many DIY stores. 5. Give frames and shadow boxes a rustic look if that is the style you need by using fine grain sand paper and lightly buffing away at raised edges of the box, removing the paint and exposing the underlying wood. 6. Here's a tip that saved a good friend over £400. My dear friend wanted a particular lamp with bronze superhero figurines at the base. Unable to convince his wife that the expenditure was actually a necessity, I figured we would have a go at recreating the lamp for less than £20. Of course this particular artistic piece is not to everyone's taste, but if you fancy a Spider-Man / Incredible Hulk lamp, all you need to invest in is some small action figures, gorilla glue, oh boy is that the most wonderful glue ever, some sand paper, and some bronze effect paint in a spray can. Of course we also needed a lamp, and this was picked up from a discount store, along with an officially licensed Marvel comic lampshade which was on offer for just £5.99. The characters were glued to the base, the whole thing sprayed with the bronze effect paint, and my friend’s wife actually thought that he had carried out the ultimate sin of spending the money on the lamp which by now had been allocated to fund a Kate Spade handbag. I offered to save his wife money too by telling her I was sure I could make her existing bag look new with a touch of paint. The offer was declined with some aggression. But that goes to show that either desperation and or imagination can save a fortune when buying art. The simple fact is that art really doesn't have to be expensive. Having created, collected, and spending more than 20-years learning about art, I have come to the conclusion that art is not just about the Matisse's or Banksy's, it is personal. If you like a $5 painting over a $1m master, that's absolutely fine, even if you can afford the million dollars. Collecting art on a budget is more than possible. It also lets you research and find your style for when you want to eventually level up. There is an important point here in that a budget art collection can remain a budget art collection for a very long time. You see, there is a difference in collecting art for joy and collecting art for investment. Good quality prints are always a good place to start, and more so if the artist who is undiscovered on that print on demand site becomes the next big thing. But what of you want to make a living from collecting art? Personally I don't know many new collectors who can make a living from collecting art. Generally they move through phases of buying and selling, and rarely do they stumble across a lost work that goes on to sell for millions. It happens, it's rare. Not to say that it can't be done, but you might want a healthy starting budget. The principles are exactly the same as outlined above. Visit galleries, talk to people, connect with artists, and get on the mailing lists. The big difference is that when more money is at stake, the risks are higher. You'll want a cohesive art collection that takes a direction. You should still pick the art that you like, but you also need to consider resale value later down the line. Some collections are around a specific genre, my collection is primarily original Disney animation and filmography cell art, and my wife's collection is purely Kinkade. A distance apart from each other, but both genres are cohesive, just not necessarily with each other. Some collections are built more around the medium of the work. Watercolour on paper, Impressionism, abstract, acrylic, oil on board, you just need to find what actually speaks to you. Limited and signed editions are another avenue worthy of exploration, they don't need to necessarily break the bank, but can be worth a small fortune in future years. Also look out for silkscreens and lithographs. Planning ahead is critical with the higher stakes of levelling up. If you’re an investment collector, just as one would when researching a new business, you would want to study the art world equivalent of market intelligence. Take it slowly. So many people when they first start out tend to rush to make their first purchase. Just like many things in life, it is best to let yourself get used to the process, the more exposure to varying forms of art along the way will shape your tastes, most likely in unexpected ways. If you have a higher budget and you are looking in to art as an investment, you really do need some advice. At this level, galleries are critical, the same rules apply as with collecting on a budget in that you need to visit reputable galleries that are established, and depending on your higher budget, an art advisor can be the difference between getting it right and getting it disastrously wrong. The cost of an art advisor will vary depending on location, experience, skills, knowledge, and even their specialism in a given field. My field is film related, animation cells, lithographs related to film, no point asking me about Matisse, I wouldn’t take your money, but a specialist in Matisse would. Usually art advisors work on a percentage of the art price, some charge purely for their time, others require a retainer. When I seek out film cells for clients I tend to charge a flat finder’s fee plus expenses. Sometimes I can find a particular film cell in a day, other times it could take months or even years. At this point, if you are going down the route of engaging with an art advisor, it is probably best to ask them beforehand if they work with beginners and are happy to accommodate your budget and your goals. There is nothing worse for an advisor than to spend months looking for a specific piece of art that may even include them having to take trips overseas, to then find out that their expenses are higher than your original budget. Be upfront about the total you are willing to spend. A good advisor will tell you for free if your budget matches your wish list before you begin. Whichever way you proceed you need to do some homework before you begin. The internet is a wealth of information and a great font of knowledge about artists. If an artist is well known and they have previously sold at auction, you can check the art indices, or previous auction results to learn previous sales prices for the artist’s work. Emerging artists are where the smart collectors are at. An emerging artist who is as yet undiscovered will be “off the radar”. Many will be unrepresented. Look at the artist’s bio and statement, and if there is a connection, and quality of their work is consistent, you could be the one who discovers them. That for a collector is a dream. A good art collection should represent you. It should also be well documented. Receipts, certificates of authenticity, who you purchased it from, the artworks provenance, and what you paid for the piece are all important factors when you come to sell on the work in the future. So if you are collecting on a small budget, or collecting on a much larger budget, it doesn’t really matter as long as the work you are collecting brings you joy. Be speculative on some of those unknown artists on print on demand sites, some even offer originals of their work, not just prints. And make sure you look past the first pages of the search results because that’s where the real artists yet to be discovered will be tucked away. I am always happy to give advice so please do get in touch via email or via social media. If you want to see some of my artwork then head on over to or click on my store page from this website.